Crafted from high quality and durable AB grade stoneware with a smooth gloss finish, the mug is practical for everyday use and convenient to clean. Designed in England, this gorgeous mug is ideal as a gift or simply to treat yourself, with a strong handle and elegant curved shape which feels lovely to hold in your hand. Although not dishwasher or microwave safe, the mug features a reflective gold leaf scattered heart design that can be hand washed - guaranteed to look charming in any setting. 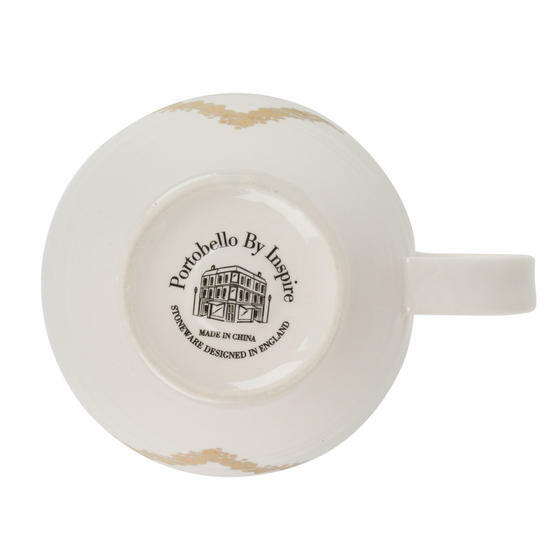 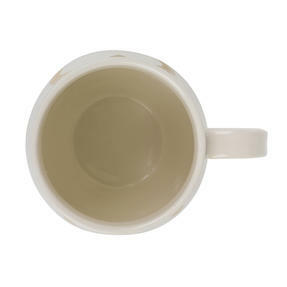 Designed in England and perfect for everyday use, this Portobello mug is made from high quality AB grade stoneware with a gloss finish. 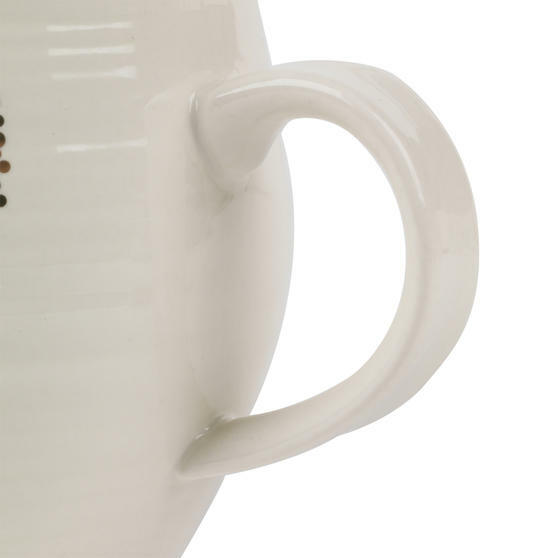 A generously sized 11h x 13w cm, it comfortably holds 350 ml, or 400 ml if filled to the brim, essential when you need a large coffee. 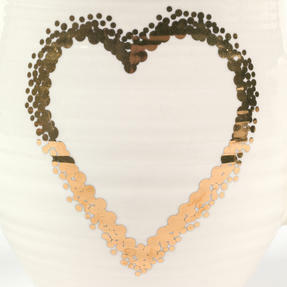 Add a touch of sophistication to your kitchen or coffee table with this mug, which features reflective gold leaf hearts and polka dots. 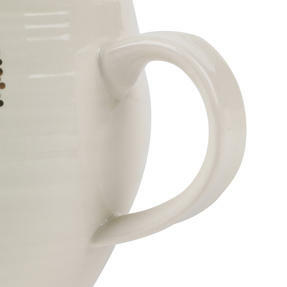 The Anglesey shape delicately curves and ripples, for blissfully luxurious comfort every time you enjoy a heart-warming cup of tea. 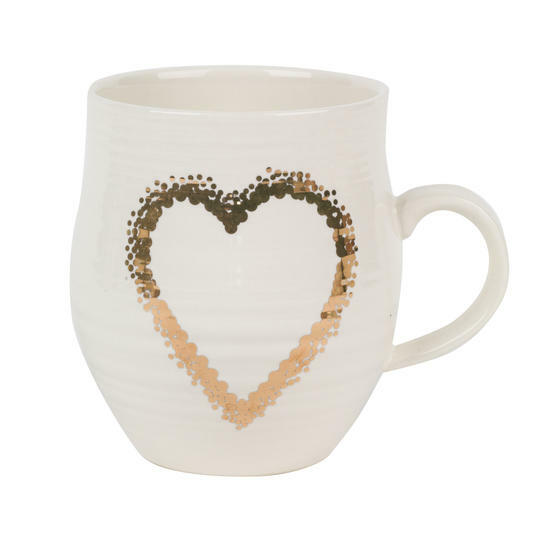 Whether for work, home or a friend, this delightful mug is always guaranteed to impress and makes a wonderful gift for any occasion.